As Calheta is already situated in the west of the island, it is very easy to explore the western part of the island that for so many people is inaccessible. One of the most beautiful view points of the island is the western part of the island, the Ponta do Pargo. The view from the cliff heighted nearly 400 metres down to the sea is very impressive. It is a shame that 90% of all visitors of Madeira never access the western end of the island. Form Calheta, one gets to Ponta through a serpentine road that is very unpleasant to drive through in approximately 1 hour; A beautiful light house signals incoming vessels that they have arrived to Madeira. On the road from Calheta to Ponta do Pargo one is impressed by the variety of plants that can be equaled by no other. At the left and the right side of the road, the most marvelous plants grow exuberantly in a bright splendor. 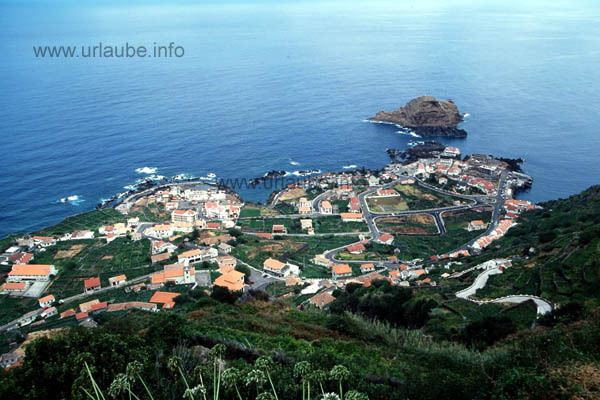 If one drives further the road alongside the coast, one finally gets to Porto Moniz, the second most significant place of the island; The place is famous for a natural pool that is only provided with water by the natural surge of the atlantic. A bath in the natural pool is a definite must during a side trip to Porto Moniz. It is too fascinating to swim between the lava cliffs and to look down to the sea. 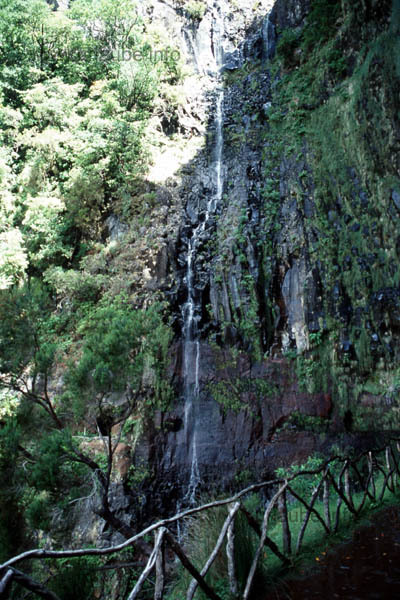 One of the mos famous places of the island Madeira is Rabacal. In this place there are several abandoned mountain shelters form which it is posible to do two very nice excursions: from amindst a bright flora, the Risco waterfall rushes 100 metres into depth. A further path leads alongside the Levada (a water canal) to Vinte e Cinco Fontes, these are 25 little water fountains.